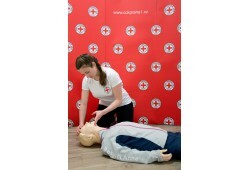 A basic first aid course for all, who want to learn how to save someone´s life. 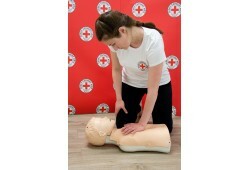 In this course you will learn how to administer first aid when someone is unconscious, or his/her breathing and pulse has stopped. 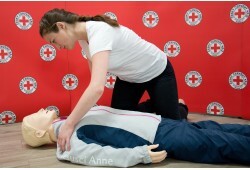 You will also learn how to effectively rescuscitate adults and children. In this course, theory is limited to a minimum. 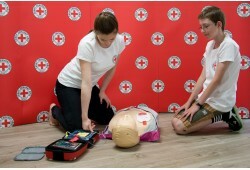 Course contains a lot of practical training. Where: At our offices at Hellichova 11b, Praha 1. Tram 12, 15, 20, 22 to stop Hellichova. Parking near the classroom isn´t possible. Cost: 600Kč per person. Fee includes training material for each participant and small brochure. První pomoc zážitkem 14. 4. První pomoc u dětí 7. 2. Doškolení zdravotníků zotavovacích akcí 9. 2.